New Year’s articles about getting fit, developing ‘mindfulness’, and making positive changes seem to be everywhere this month. However, the Careers & Enterprise Centre has another resolution to add to your list: get some work experience. Not to be the bearer of stress-inducing tidings, but although it may only be the first week of Spring Term, summer will be here before you know it. Will your CV be ready to compete for the onslaught of summer internships, work experience placements, and (dare I say it) graduate jobs that will be popping up over the coming months? If your CV isn’t quite up to scratch, why not use these next few months of Spring Term to gain some relevant experience and improve your application and interview skills through taking on a QProject? 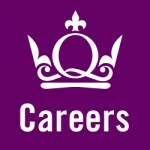 QProjects is Queen Mary’s very own Guardian University Award winning work experience scheme that places Queen Mary students into CV-enhancing projects at local charitable organisations. You will get the chance to gain some impressive experience on your CV whilst helping the local community. QProjects last for 3 months, take up only 1 day a week of your time and are flexible around your schedule, meaning you still have time for societies, studying, and (of course) essay writing. Although unpaid, travel expenses are covered and all applicants receive application and interview feedback, access to an online pre-training module and a one-on-one skills debrief with a Careers Consultant at the end of their project to help them update their CV and get any careers advice they may need. I certainly wouldn’t have been able to secure my job without the amazing experiences I had at my QProject placements. Throughout my interview I was referring to all the skills I had acquired and demonstrated whilst at my QProject placements and I really hope every student at Queen Mary seizes the opportunities available. The project really cemented my future career choice as I was encouraged to try out different things. It gave me the confidence to provide real examples of skills I felt that I already had, but just couldn’t prove on my CV or job applications. So kick off 2015 by applying for a QProject. You can find a full list of current projects here: www.bit.ly/qprojectswork. Stay updated when new QProjects comes up by signing up to the mailing list here www.bit.ly/qprojectsmail.